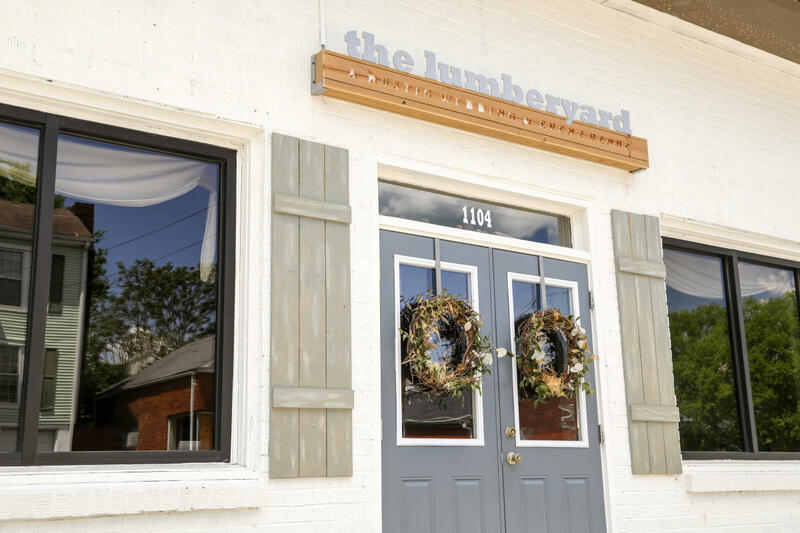 The Lumberyard is a unique party venue in the Columbia Arts District in Columbia, Tennessee. 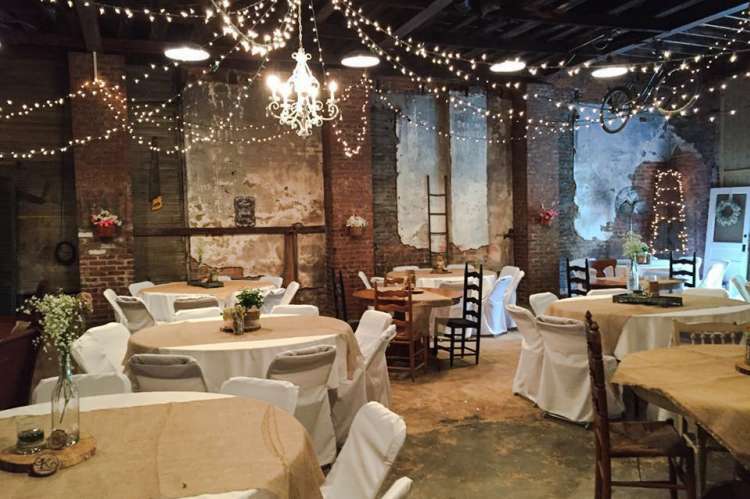 Whether you're planning a rehearsal dinner, songwriters night, company party, meeting, wedding reception, birthday party, special event, bridal or baby shower...the possibilities are endless. 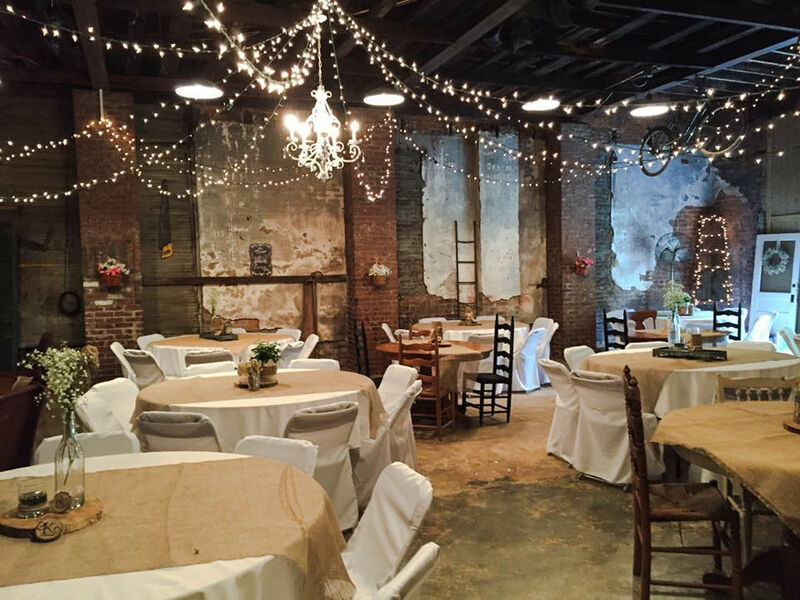 Rustic setting with room for small and large events. The Greene Room will accommodate up to 50. 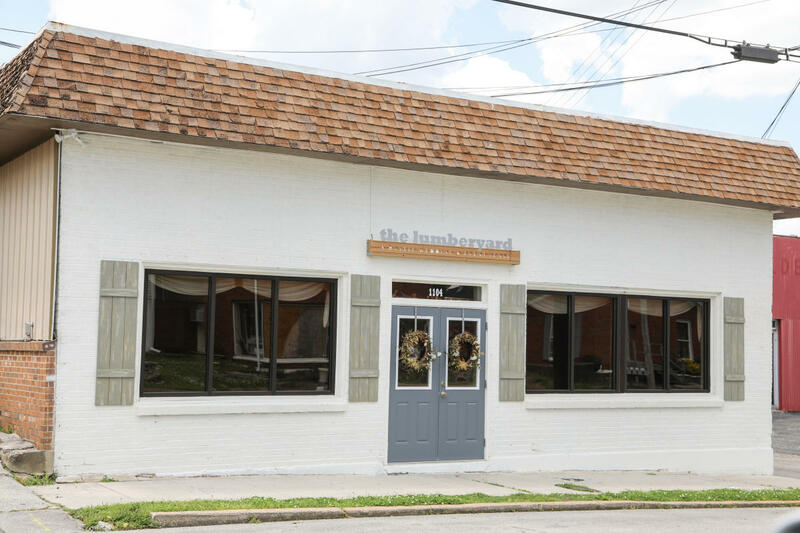 The Lumberyard will accommodate up to 100. Maximum for both spaces combined is up to 100 people. The Greene Room is 725 sq. ft and Mule Town Lumberyard is 1700 sq. ft for a total of 2400 sq ft of usable space. There is a private green space for an outdoor wedding ceremony. The Lumberyard provide tables, chairs and do all the set up. Outside vendors such as caterers, photographers, cake bakers, DJs, etc. with the exception of florists since there is an in-house florist.